Currently viewing the tag: "flashlight"
Have you ever dropped your keys in the lake? Well neither have I, but the thought of accidentally dropping my truck keys in the lake has crossed my mind when I’m fishing 50 miles from the nearest cell tower. There are floating key fobs, floating flashlights, probably even floating fob flashlights, but do any of them automatically turn on when they fall in the water? Coleman’s marine key fobs does. What’s almost as good as a wrench with a laser? A wrench with its own flashlight. 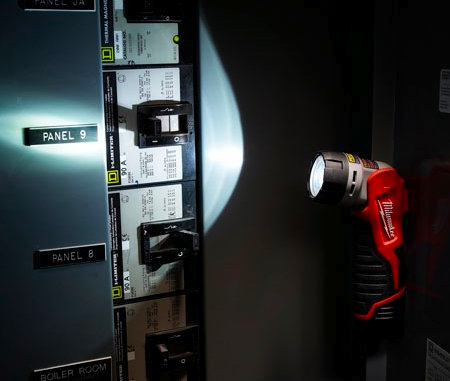 Each of Bossco’s Hi Beam Light wrenches use two 6,000 mcd recessed LEDs to illuminate either end of the wrench for up to 5 hours with the included rechargeable batteries. You can set the light low beam, high, beam, or flash. Each double-ended wrench has both a Metric and an English end. 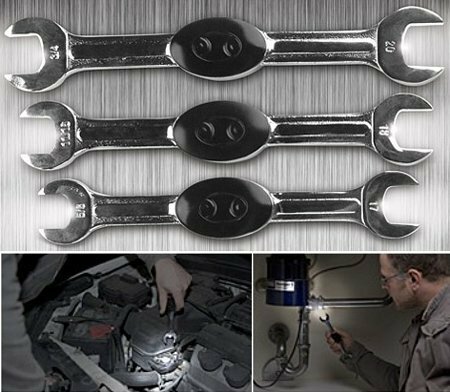 To make the wrenches Bossco uses drop-forged steel hardened to 50 RHC and then chrome plates them. The latest issue of Milwaukee’s Heavy Duty News alerted us to their upcoming LED replacement bulb. Not only will this bulb upgrade your M12, M18, and V28 lights to LED, it should be able to upgrade most other flashlights that use similar sized bulbs running on 9.6V to 28V. Milwaukee claims the bulb will give you 3X the run time and last 50,000 hours over the standard bulbs. 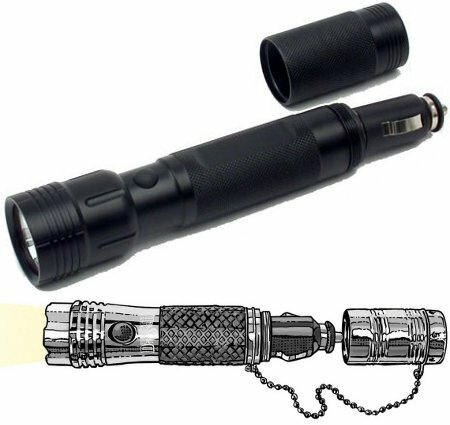 Being solid state it, has the added bonus that if your flash light can survive a fall, the bulb should too. No wording on the price yet or when the bulbs will be available. We’ve covered lighted pickup tools here and here, but you may not want a magnetic head sticking to every metal surface as you fish it. 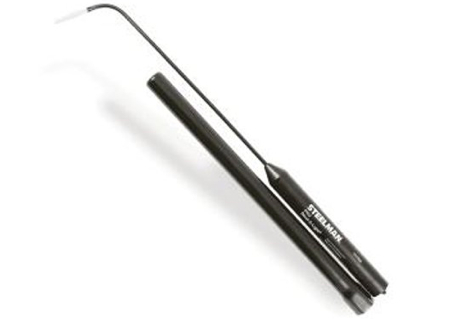 If you just need to shed some light on a hard-to-see place, a single purpose tool like Steelman’s 16″ Bend-A-Light might work a little better. 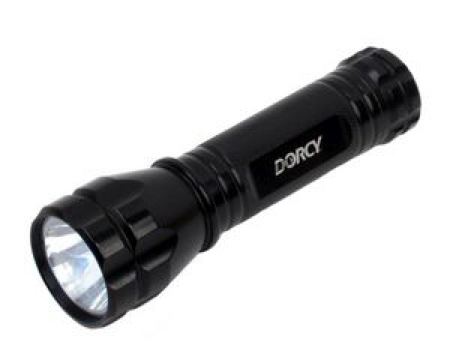 It’s simply a high-intensity bulb with a flexible brass shaft connecting it to the battery case. 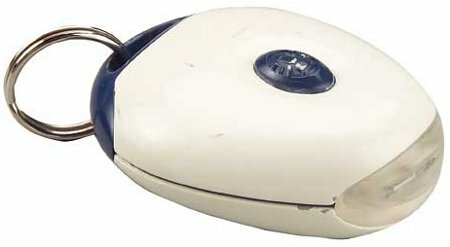 The Bend-A-Light ships with 2AA batteries and a protective cover that doubles as an extension handle. It’ll run you about $17, but if you need a replacement bulb you’ll shell out at least another $7. Have you been burned by the power going out in the middle of the night and screwing up your alarm clock? Yeah, most alarm clocks have a battery backup, but in my experience it’s always dead when you need it. Plug the PowerOUT! 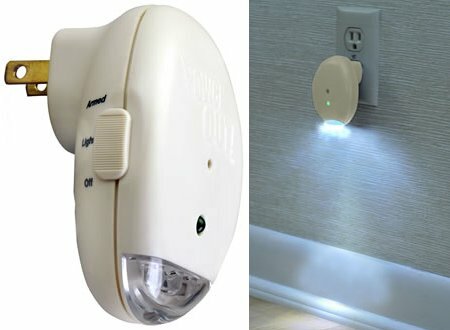 from Reliance Controls into a spare outlet and when the power fails you’ll know it by the 86dB alarm and bright safety light.